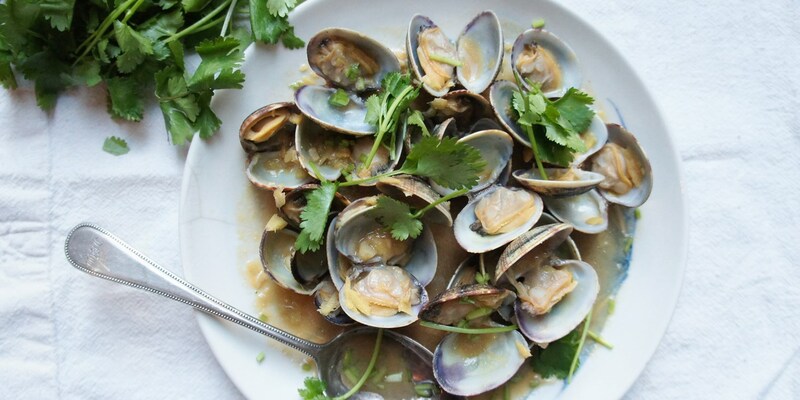 Clams make a quick and easy meal, and can be cooked in under 5 minutes. Try Anna Hansen's impressive main course of cod with clams and chorizo or Alan Murchison's sea trout with ruby chard and clams - all featured in this collection of clam recipes. When cooking clams ensure that they are fresh, this is indicated by their closed shells - any open shelled clams should be discarded. Make sure you thoroughly wash the clams before cooking as they may contain sand and grit.